Wicker baskets don’t just come in the old, traditional shopping basket style. 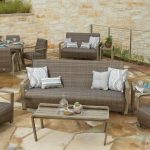 Wicker is one of the most flexible materials available, which means that designers are able to style it in a huge number of different ways. Not only is wicker made into a wide range of items, from lamps to furniture, but there are many visually diverse designs to choose from. Part of the charm of wicker is its pleasing texture. Different weaves create very different looks and give buyers a great deal of choice when decorating their home with wicker furnishings. Weaves range from boldly geometric textured designs to the traditionally rustic or the subtly modern, with clean lines. The type of weave you choose also has functional implications. 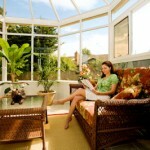 For wicker storage that is to be used to keep belongings free from dust, a close weave will do the job. 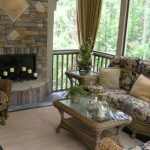 Loose weave baskets that allow some air circulation are perfect for other storage containers, from containers for linen and blankets to log baskets to stand by the fireplace. The natural wood shades of wicker baskets are an important part of their versatile good looks. You will still have a good choice of various neutral colors, from pale blond to golden brown to deep chocolate shades. Untreated baskets will naturally colored beautifully as they age. The sheen of varnished pieces gives a warm glow. 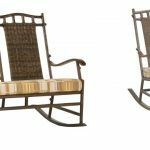 Wicker takes paint well, and is also available in a variety of other colors – or give it a coat in the shade of your choice. Whatever decor style you’ve selected for your home, there are wicker basket furnishings to match or complement it. 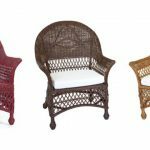 Traditional country house and Victorian-style repro furnishings, in the classic style of the wicker furniture pioneers Haywood Wakefield, are wonderfully elaborate, with beautiful open weave patterns. 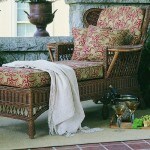 Wicker and rattan pieces may also take some of their design cues from traditional oriental style furniture. 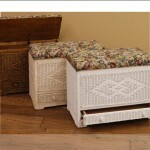 You’ll also find wicker basket furnishings with contemporary, cutting-edge styling. Their elegant simplicity is such that these furnishings will look just right in the modern apartment or even the contemporary office setting. Of course you don’t have to stick with one style. 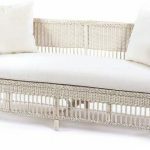 Wicker pieces mix and match well, so you can add variety to the style of your home decor by carefully combining complementary pieces, or items in different colors and textures. Whatever your decor taste, wicker is the essence of style and can add that perfect finishing touch. The great advantage of wicker is that it’s not just good-looking, but practical and multi-purpose as well. 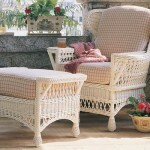 A selection of wicker pieces will work for you and enhance your home for many years to come.